Small car drivers in the UK can get behind the wheel of the Ford Fiesta Zetec and customise it to their own specified tastes, according to the automaker. Ford believes that the options given to drivers, including a choice of new interiors the Pacific Pearl and Pacific Dust and six body types, gives the car an unbeatable combination. Indeed, the automobile company commented that "small cars have never been so good". The chance to customise the model comes for £200 more than the standard £9,995 people can pick the vehicle up for on-the-road. "The new colour and trim choices and large-car technology combine to give a great drive and exciting style," the automobile manufacturing company added. 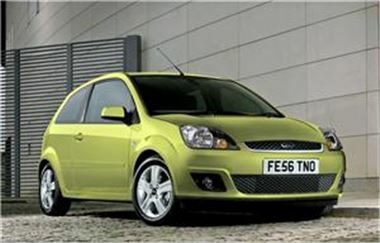 Ford has been manufacturing the Fiesta since 1976 and has made the vehicle in a number of different iterations. These include three and five-door models.